I have heard “My child is very smart, but he can’t seem to get it together” numerous times. This assertion is usually followed by statements like, “In school, he does well on tests but he forgets to turn his assignments … He is so disorganized … He procrastinates … He has trouble getting started on tasks … It takes him forever to complete his schoolwork.” With much investigating, I often determine that this child is, in fact, bright and highly motivated to do well, but he or she struggles with executive functioning. Attention control – the ability to concentrate, pay attention, and stay focused over an extended period of time. Children who have trouble with attention control are more likely to quit when tasks become too challenging (or too boring), and they may struggle with determining where to focus their attention. Flexibility - the ability to switch between thinking about two different concepts, and the ability to think about multiple concepts simultaneously. Difficulties with flexibility often result in students struggling to look at situations from different perspectives, and problems navigating around unexpected obstacles. Inhibiting impulses - the ability to resist impulses and to stop one’s behavior at the appropriate time. Children with difficulties in this area frequently have trouble considering the potential consequences of their actions before they act. Organization –the ability to bring order to information and to appreciate main ideas or key concepts when learning or communicating information. Children who are described as disorganized often have difficulty imposing order; they have trouble starting tasks, planning and organizing information, prioritizing, sequencing and completing tasks. Planning- involves setting a goal and determining the best way to reach that goal, often through a series of steps. Children with planning difficulties often feel overwhelmed by large amounts of information. They may approach tasks in a haphazard fashion, and often get caught up in the details while missing the “big picture.” Children who are disorganized and struggle with planning often procrastinate and have poor time management. Self-awareness – refers to a child’s awareness of the effect that his or her behavior has on others (also referred to as self-monitoring). 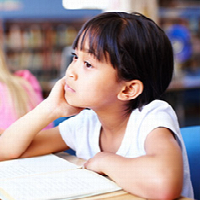 Children with poor self-awareness may also struggle with task monitoring, the ability to check one’s own performance during or shortly after finishing a task when pursuing a desired goal. Self-control - the ability to appropriately modulate one’s actions and mood. 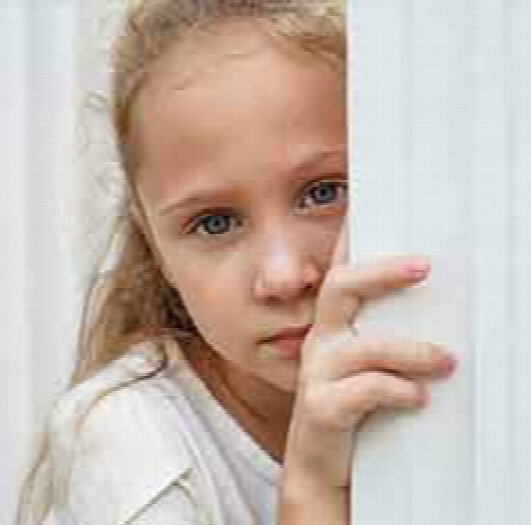 Children with struggles in this area often have trouble with regulating emotions or exhibiting socially appropriate conduct. Shifting attention - the ability to make transitions, tolerate change and switch or alternate one’s attention from one focus or topic to another. Children with shifting difficulties may have trouble considering alternative points of view, changing strategies when one strategy is not working, and considering alternative ways of solving problems. Working memory - the capacity to retain information in order to complete a task, encode and store information or generate goals. Children with working memory difficulties often have difficulty remembering things (e.g., school assignments left at home or at school). They may lose track of what they’re doing as they work, or forget what they are supposed to be doing when they are completing a task. Problems with working memory make children appear “forgetful,” despite having great long-term memory. Executive functions are skills necessary for children and adolescents to become successful adults (e.g., maintaining focus and sustaining attention, even when material is boring, creatively connecting ideas and facts while working through a problem, and “thinking outside the box”). Research shows that children with better executive functioning (e.g., children who are more persistent, less impulsive, and have better attention regulation) have better health, higher incomes, better jobs and have a better quality of life when they become adults compared to those who had poor executive functioning as young children. Thus, it appears that if these skills are not formed in childhood, difficulties can lead to problems in adolescence and adulthood. The executive functioning system is sometimes referred to as the CEO of the brain. This system takes in information, determines what is important, decides what to do with the information (e.g., what strategy to use when solving a problem), and sends it to other areas of the brain for further processing and task execution. Thus, executive functions are critical for understanding how ideas are related to each other, connecting what was read or heard when learning something new, performing mental math calculations, understanding multi-step instructions and following directions in the correct order. Strong executive functioning is not only important for success in school; it also plays a role in interpersonal relationships. Some children and adolescents who struggle with executive functioning have a learning or developmental disorder, such as Attention-Deficit/Hyperactivity Disorder or Dyslexia. For others, particularly very bright students, the issue is subtler and represents a relative weakness for them. For example, remembering information (e.g., for tests) might be easy for them and they may be active participants in the classroom, but task execution is harder. For this reason, many children and adolescents who struggle with executive functioning go unnoticed because they are very good at compensating for difficulties with their strengths in other areas. This strategy works for a while, but for many, as academic demands increase, it becomes more difficult to manage issues, and difficulties with executive functioning begin to impact daily functioning, particularly school performance. The brain cells involved in executive functioning are primarily located in the prefrontal cortex, where research shows decreased activation in individuals with executive functioning difficulties, perhaps due to a delay in the maturation of the frontal lobe. The good news is that the prefrontal cortex is one of the last areas of the brain to develop. Therefore, executive functioning processes get better as a child gets older. Having said that, some children and adolescents will struggle more in this area than others their age. 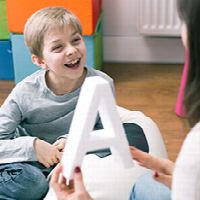 In those situations, it is important to seek help from a specialist to identify the root of the problem (e.g., with a neuropsychological assessment), address the issue, determine an appropriate treatment and academic plan, and evaluate the effectiveness of the intervention (e.g., with a brief re-evaluation and/or parent and teacher reports). Interventions designed to improve executive functioning can have a broad impact by providing a child struggling with the support needed to help them effectively apply their intellectual functioning and creativity to tasks, and in doing so, demonstrate their full potential and improve self-concept and self-efficacy. “Executive Functions: What They Are, How They Works, and Why They Evolved” by Russell A. Barkley (2012). “Executive Skills in Children and Adolescents: A Practical Guide to Assessment and Intervention” by Peg Dawson and Richard Guare (2004). “Late, Lost, and Unprepared: A Parents’ Guide to Helping Children with Executive Functioning” by Joyce Cooper-Kahn and Laurie Dietzel (2008). "Outside the Box Rethinking ADD/ADHD in Children and Adults A Practical Guide" by Thomas E. Brown (2017). “Smart but Scattered: The Revolutionary ‘Executive Skills’ Approach to Helping Kids Reach Their Potential” by Peg Dawson and Richard Guare (2009). Alahmadi, N. A. (2017). Cognitive control in children with learning disabilities: neuromarker for deficient executive functions. NeuroReport, 29(11), 638-644. Barkley, R. A. (2016). 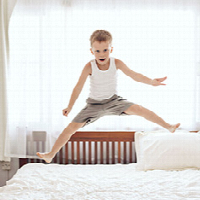 Recent longitudinal studies of childhood Attention-Deficit/Hyperactivity Disorder: Important themes and questions for further research, Journal of Abnormal Psychology, 125(2), 248-255. Brown, T. E., Reichel, P. C., Quinlan, D. M. (2009). Executive function impairments in high IQ adults with ADHD. Journal of Attention Disorders, 12 (2), 161-167. Diamond, A. & Kirkham, N. (2005). Not Quite as Grown-Up as We Like to Think: Parallels Between Cognition in Childhood and Adulthood, Psychological Science, 16(4), 391-297. Shanmugan, S. & Satterthwaite, T. D. (2016). Neural markers of the development of executive function: Relevance for education. Current Opinion in Behavioral Sciences, 10, 7-13. Dr. Karen Wilson is a clinical neuropsychologist in private practice. She is also a professor and coordinator of the Master of Arts in Psychology program at California State University Dominguez Hills and an assistant professor (voluntary) at the Medical Psychological Assessment Center at UCLA Medical Center. You can follow Dr. Wilson at https://twitter.com/DrKarenIWilson.